Combining affordability with reliable flow measurement and control. For many non-corrosive, low-pressure air, water and gas flow applications, it pays to use accurate instrumentation that provides highly repeatable results and is also durable and affordable. 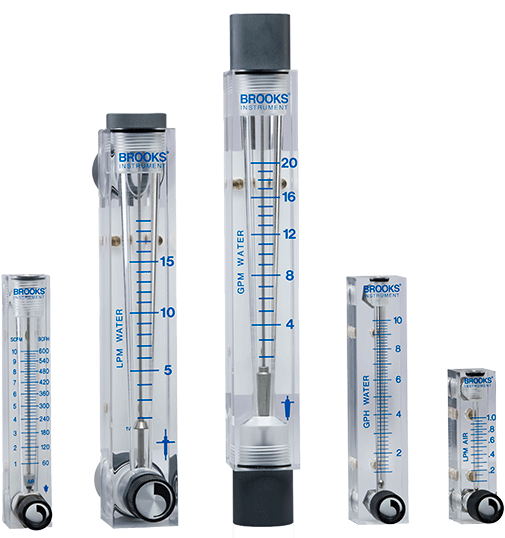 Brooks Instrument delivers that combination in our versatile line of plastic variable area oxygen flow meters. Durability is the result of precision-machined, one-piece, acrylic-body blocks that can handle demanding projects and mounting panels. Plus, configuration and customization options for scales, floats, fittings and control valves accommodate a variety of oxygen flow measurement applications, whether in the lab or the field. Select the plastic variable area flow meter that best meets your project requirements. PVC FNPT Pipe Connections (Std).